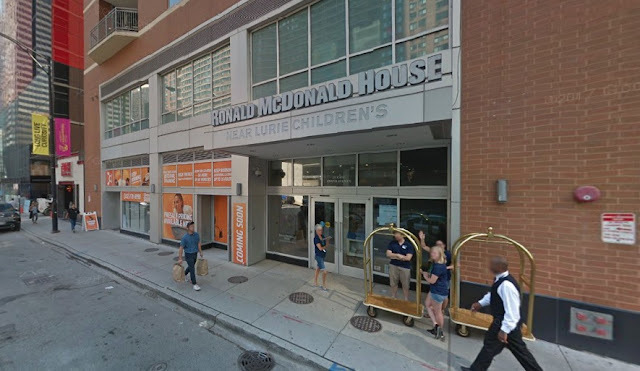 Police are investigating an armed carjacking outside of the Ronald McDonald House in Streeterville on Sunday evening. No one is in custody. A 26-year-old man was sitting in his car outside of 211 East Grand around 7:30 p.m. when a group of young men approached him and one of the offenders climbed into the passenger seat. A second member of the group pressed an object to the man’s neck through the open drivers-side window and ordered the victim out of his car, according to police. The remaining members of the group then got into the victim’s dark blue 2014 Honda Civic and drove west on Grand before turning south on Wabash, police said. The license plate of the stolen car begins with V3812. The primary offender was described as black, 17- to 18-years-old, 5’8” tall, with short black hair and wearing a red hoodie with dark jeans. The other three members of the group were described only as black males between 17- and 18-years-old. Police said the victim believed the object pressed to his neck was a knife, but he was not injured in the carjacking.